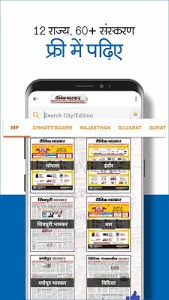 Dainik Bhaskar, India’s largest Hindi Newsgroup, brings to you the most comprehensive, Hindi News app for the latest news in Hindi. Latest news in Hindi (Hindi Samachar) covers India news, Local news, and World news. Keep yourself updated with breaking news in Hindi with free Hindi Newspaper(e-paper), daily news videos, political news, sports news, business news, bollywood & entertainment news, technology news & automobile news. 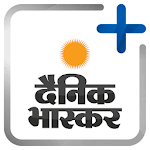 Dainik Bhaskar latest Hindi news app is all you need to keep your self abrest with the current news in Hindi. Get all trending news, Bollywood news, controversial news, political news, news on the election, etc in the form engaging videos, images, infographics and gif. Video News: This Hindi news app provides the latest news in video format. All the videos are in HD quality and provide in-depth news coverage. 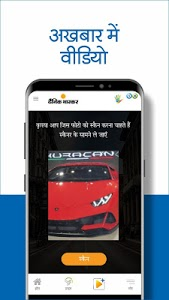 News Plus: The unique, first in Industry, Augmented Reality enabled feature, provides amazing news consumption experience to all the Dainik Bhaskar print readers. When the photo associated with the news article is scanned using the News Plus feature, the associated video, 3D image, infographics are displayed which provides enhanced experience. Trending News: The app is the fastest in bringing to you the latest Trending News from around the globe. The highly interactive reader Interface allows the reader to read all the trending news from a single window. 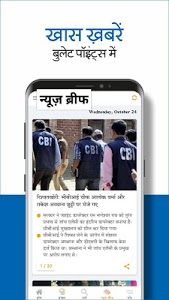 News Brief: The feature allows you to consume daily news in Hindi, that is easy to understand by providing it in bullet form. News Bot: We understand your reading habits! Get the news of your interest in an interactive chat format which keeps you engaged, all the time. 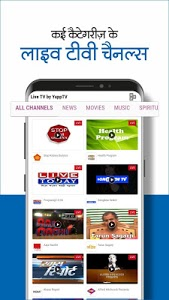 Live TV: Watch Live TV channels with an option to choose from a wide range of categories and genres as per your liking and mood. Voice Search: You can search for news content by speaking directly (Voice Command) to the App. Audio Bulletin: Allows the reader to get updated to what's happening around the globe by not just reading but listening to the news (3 times a day). 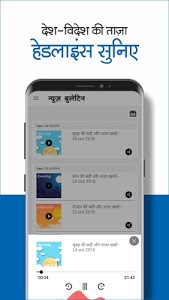 Artificial Intelligence: Dainik Bhaskar Plus - Hindi News App studies your behavior using Computer Learning and provides the content that suits your behavior. 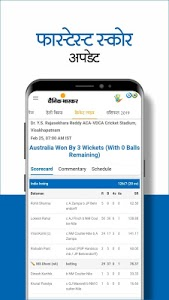 Download Dainik Bhaskar today to get latest & breaking news alerts, browse through different categories such as India News, World News, Entertainment - Bollywood News, Sports News, Tech News, State News, Cricket news anytime and anywhere. Similar to "Dainik Bhaskar Plus - Latest, Trending Hindi News"